Thank you for your interest in adopting a rescued horse. 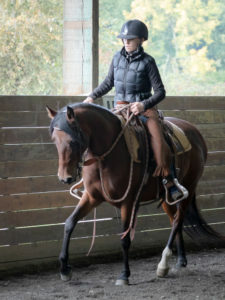 We want to ensure that the potential match is the perfect one for both the horse and adopter. This application is thorough, and the information provided will be validated. Please complete all fields, as incomplete applications will take considerably more time to process. Also, be sure to notify your references (especially your vet and farrier) that a SAFE representative will be calling and authorize them to release information to us. Please keep in mind that we are looking for permanent, lifelong homes for our rescued horses. Typically, horses that are cared for appropriately can live to be 25–35 years of age. 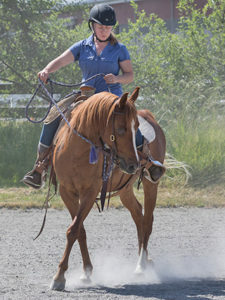 If there are multiple applicants for a horse, adoptions will be based on the “best fit” home for the horse. SAFE reserves the right to disapprove any applicant for any reason, and we are not obligated to share those reasons. Upon review of your Adoption Application, we will contact you to set up a time for you to meet the horse(s) you are interested in. If after meeting the horse(s), you wish to proceed with the adoption, and SAFE also that you are a good match for the horse in question, we will proceed with a site visit and reference checks. 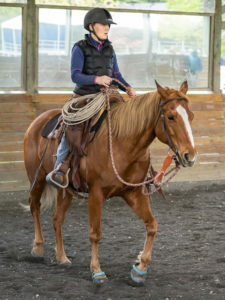 Upon approval of your application, you will sign and return the Adoption Contract, along with applicable adoption fee(s), and arrange transport of your horse to his new home. Please be aware that until you have signed the adoption contract, paid the adoption fee, and transported the horse to your facility, the horse will still be considered available for adoption. We will continue to accept Adoption Applications for that horse up until the point that the adoption is complete. We do not “hold” horses, even for applications in process, and we do not work on a first‐come, first‐served basis. In the case of multiple applicants, we will choose the adopter we feel is best suited for the horse. Which phone do you prefer we use? i.e., moving across country/overseas, retirement, having children, income changes due to college expenses, etc. Please provide THREE personal references, preferably those that can speak to your horse experience. Only one may be a family member. i.e. Pilchuck Vet Hosptial, Tacoma Equine, etc. Are you currently a client of this vet? Is there another veterinarian that you’ve used in the past 5 years? Are you currently a client of this farrier? Is there another farrier that you’ve used in the past 5 years? i.e., Bluebird Farm, Redwing Stables, etc. Are you currently riding on a regular basis? How often do plan to vaccinate your adopted horse? How often do you plan to deworm your adopted horse? What type of deworming program do you plan to use for the adopted horse? Will your adopted horse be shod or kept barefoot? How often will your adopted horse be trimmed/shod? How often will your adopted horse have a dental exam and/or teeth floated by a licensed veterinarian? What discipline(s) are you planning to use this horse for? How long have you owned or rented the property? Are you currently boarding at this facility, or have you boarded there in the past? What type of boarding arrangement will you have? Where will the horse primarily be kept? Include types of feed, frequency of feedings, whether horses are fed individually or in a herd, etc. Is there anything else you’d like to add before submitting your application?